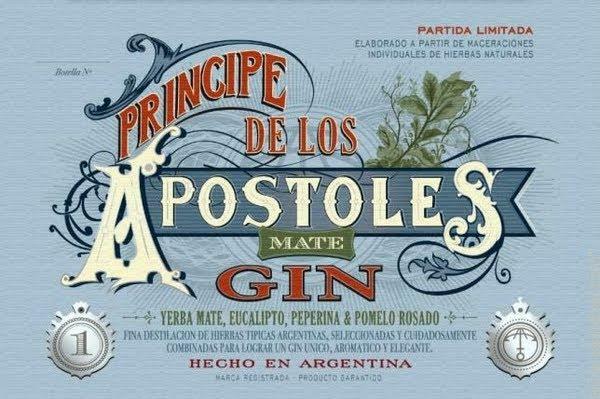 Principe de Los Apostoles was crafted by Tato Giovannoni, Argentina's leading mixologist. Tato is a true renaissance man, bartender, painter, singer, soccer player and artist. Born and raised by the sea in Pinamar at 250 miles from Buenos Aires, he started working at his fathers restaurant at the age of 12. His love affair with the pleasures of food and drinks continues to this day. Tato is the most celebrated bartender of Latin America and a true ambassador for Argentina. He has worked as a cocktail consultant around the world and came home to open the highly respected Atlantic Florist that remains the only South American bar in Drinks International Best 50 bars in the World. It was only a matter of time until he introduced his own elixir. Apostles is inspired by his devotion to his heritage. Developed over the course of two years seeking a perfect expression of balance and flavor. He wanted to honor the most Argentinian drink of all: the Mate.